Warm & stunningly romantic this gorgeous editorial dreamed up by Nicole Berrett Photography & Jen Rios Weddings was inspired by the pantone color of the year, marsala, the amazing history of the venue, Thistle Hill & southern simplicity. 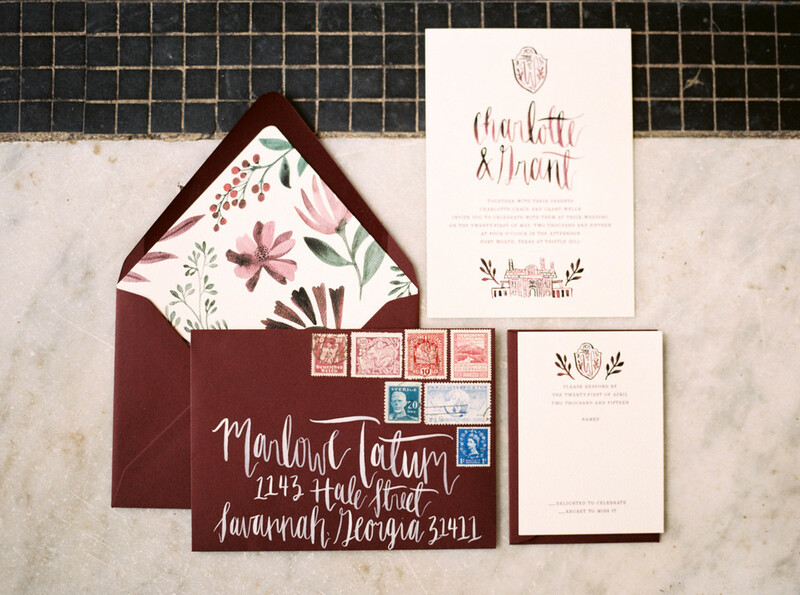 The paper suite incorporated some of our favorite elements; a custom crest, modern calligraphy, illustrations of venue & vintage stamps galore. And who could forget the lovely watercolor floral linter inspired by the gorgeous arrangements the Southern Table created! Inspired by these amazing florals Jar Cakery & Lovely Paper Things collaborated to created a tasty & unique marsala, meets watercolor, meets decadent real flowers cake!